Made out of durable waxed canvas and superior crazy horse leather, that adds strength and extends service life. Additionally, waxed canvas provides excellent water resistance which can protect your stored items effectively. 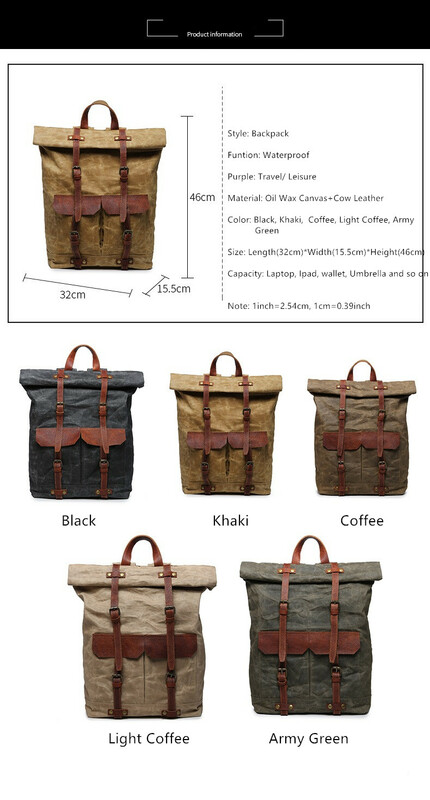 This canvas rucksack has fashionable and vintage appearance to be an ideal travel backpack.